In this tutorial, we’ll learn about how to install, setup and configure CGI and Perl in the Apache HTTP web server running in Windows operating system, Windows XP specifically. In Windows, we make use of free ActivePerl community edition provided by ActiveState to provide Perl functionality. Obviously, a web server needs to be running on the Windows machine. Refer to this post for instructions on how to install Apache2 in Windows. 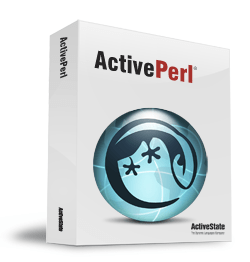 Download ActivePerl from http://www.activestate.com/Products/ActivePerl/?mp=1. Click on Free Download to start the download process. There is no need to input any contact info. Just leave it blank and press ‘Next’ to start the download. Then download the latest version of Windows MSI package. Start the installation by double clicking the setup file. Follows the on-screen instruction. If you will be using Perl CGI programs and want to maintain some level of portability between both Linux machines and Windows machines, you may want to install Perl at the same location on your Windows machine as it is on most Linux machines. For example, on Linux machine, Perl is located at /usr/bin/perl and so every Perl program that I write begins with #!/usr/bin/perl. So, it’s best when install Perl on an Windows machine, instead of installing it in the default location (i.e. C:\perl), install it in C:\usr instead, so that the Perl executable is located at /usr/bin/perl. This allows codes written on Windows machine been moved to, without changes, to Linux machine, and have it run there, and vice versa. To change the installation path, click on browse button when you’re on the installation screen that prompts you to select which features you want to install. Set it to C:\usr if needed. Open the httpd.conf file for editing by selecting Start > Programs > Apache HTTP Server > Configure Apache Server > Edit the Apache httpd.conf Configuration File. Alternatively, open the httpd.conf with any text editor. Save the httpd.conf configuration file, restart the Apache server. Test the configuration as described in Testing Your Web Server CGI Configuration at the end of this article. Alternatively, if you want to specify just one directory to put all your cgi programs, change the path instead, but makes ure that directory exists. Save the httpd.conf file. Restart the Apache server. Replace backslashes of directory/folder path with forward slashes in Apache httpd.conf even though you’re on Windows machine. If you don’t know where is perl.exe installed to, go to Start -> Search and search for perl.exe. This location is the path to the perl executable that has to be put on the top of all cgi scripts. If you follow default installation procedure, the path should be C:\perl\bin\perl.exe. If you see the above message, CGI is running. If you get a 500 error, go to the last entry in your Apache2/logs/error.log (or the Review Error Log in the Start menu) to see exactly what caused this error.